The beginning of a new year always brings our fair share of most used products posts and I sit in wait for them, they're my favourite! If a beauty blogger has spent an entire year using the same product again and again, you know it's a good one. We are in the fortunate position that we get to try so many different products month in, month out that it can sometimes be a little hard to stick to the same products unless they really are firm favourites as another newer and (promised) better product comes along. I've tried numerous new products throughout the last year but there are always some that stick and so I give you a handful of products that haven't left my side in 2018. I'm not usually a big fan of Clarins bases, I have a love hate relationship with them but Skin Illusion just came out and wowed me. I've used this religiously since it landed in my mitts and I'm just about to repurchase it because I can't be without it. The formula leaves my skin looking flawless and lasts for hours without needing any touch ups. It's a fab foundation. I'm not sure I can technically include this as I only used it the last six weeks of 2018 but I did use it more in those six weeks then any other during the year so that's my get out clause. The doe foot concealer is my ideal shade, it's super creamy and applies well with a beauty blender plus it doesn't cake or gather in pores or lines. I can't find the Illuma concealer on the website and when I search for it, the Correcting Cream Concealer comes up so maybe they've swapped them over, either way, I'm a big fan of Tropic Skincare products so I'm sure the correcting one is just as good. If you want quick and easy, the sparkle sticks are a god send! I love being able to quickly add some colour to my eyes and a slick of mascara before running out the door. They come in an array of colours and the formula is beautifully creamy. I can't wait to pick up some more shades this year. This is one of my favourite mascaras and I haven't been without it for the last two years, I've always used a different mascara to separate each lash then I follow it up with supra volume because it just makes my lashes look incredible. It smells like allergy nasal spray but don't let that put you off because the results are totally worth it! I'm a matte lip girl through and through and the Nars Velvet Matte Lip pencils are some of my all time favourite products. The formula is perfect, the pigmentation out of this world and the colour range is fab too! 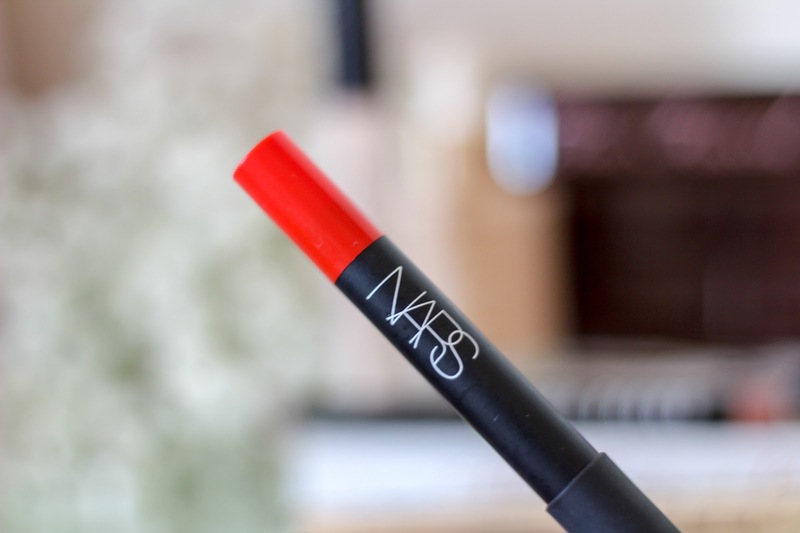 Red Square is my favourite shade from Nars, it's the most perfect orange red and it lasts for hours. 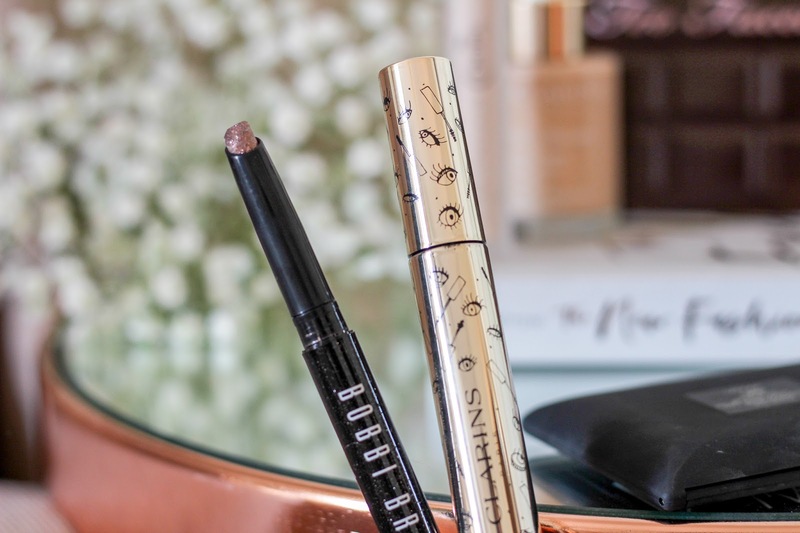 If you're yet to try this range of lip pencils, what are you waiting for? Laguna is hands down the best bronzer ever. I've gone through a number of these in the past and I've just replenished my stash thanks to Arran's Christmas & Birthday present buying. I did forget to take a photo of it for this post but that doesn't make my love for it any less. It really is the best. It's been exactly a year since I was given the Chocolate Bar palette for my birthday and it has seen me through the majority of 2018 and I'm so close to hitting pan on Marzipan which breaks my heart a little. It's not often I continually use the same palette but this hasn't left my side. The range of colours is great, from mattes to shimmers and more, it has something for everyone plus it smells deliciously sweet thanks to the cocoa infused powders. 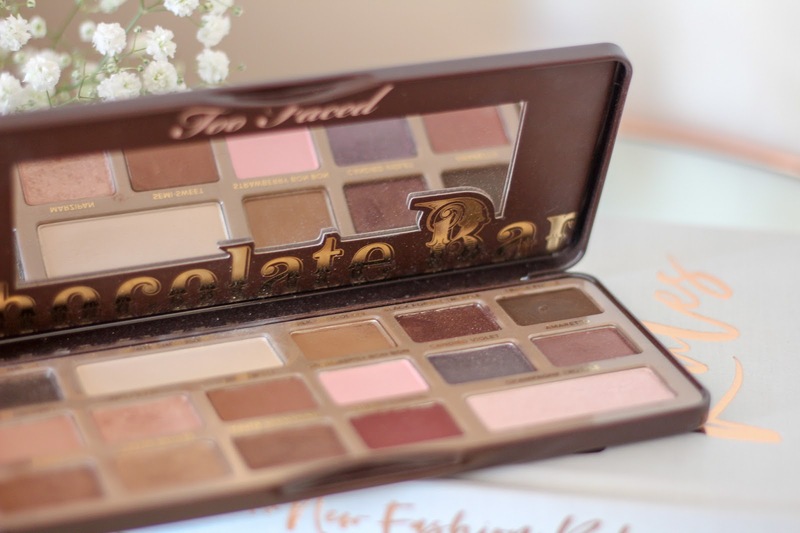 If you're just starting out with Too Faced, the Chocolate Bar is the place to start. What have been your favourite products of 2018? Features press samples and affiliate links - please see disclaimer. 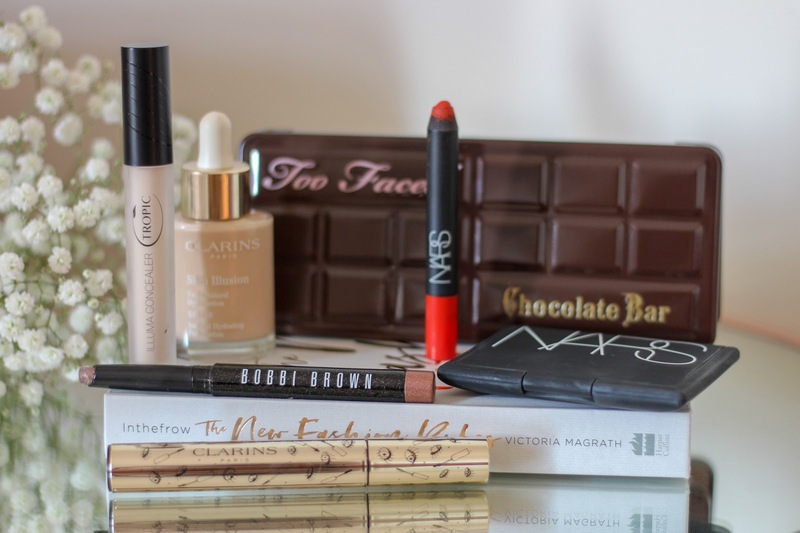 Ah, I so want that Chocolate bar palette! How am I still yet to try anything from Too Faced? Think I might need to add to my palette collection! The shade of your Bobbi Brown sparkle stick is gorgeous! It looks super easy to use too, which is always a winner in my books. Something I discovered in 2018 was the body shop matt clay clarifying foundation. I was dubious at first & it took me a long time to buy it, but now I wouldn't be without it - It's brilliant, so affordable too. 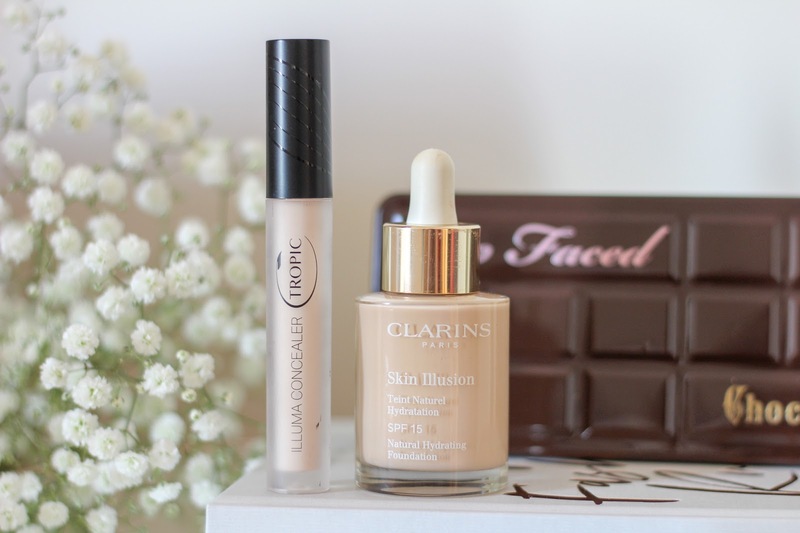 That clarins foundation is on the top of my wish list! I definitely need to try it. You’ve got some lovely picks. The chocolate bar palette is fab! I have really been enjoying the Skin Illusion foundation too, but I have the old version!